Remember, Southwest Coupon Clipper Summer Savings donation of diabetic meters Here. Well, I guess it's time for some winter savings donations. Final Cost = FREE, but Earn $5 RR for Contour, $5 RR for Bayer 2 and $3 RR for purchasing 2 participating Bayer products! So Final Cost = FREE plus $13 Money Maker! I used the $13 profit towards a Bakugan battle pack coffret combat game ($19.99) with 2 small fillers that my son wants as one of his birthday presents. Too bad I only had 2 RP inserts from 10/25. I'm off again to Dr. Guerrero's clinic Here to donate these montiors to his clinic to help his patients that need financial help with their diabetes control. (2) Pampers Diapers 92-140 ct.
160 -180 ct. Swaddlers, sizes 1 and 2 $35.99 each. For more of this week's Target match ups check out Frugallivingandhavingfun! Ran to Randall's for some eggs and orange juice and picked up 10 boxes of kelloggs cereal for the promotion going on right now with Corn Flakes. Look for Kellogg's™ Movie Lovers Collection Tokens located on the back panel of specially-marked Kellogg's® and Keebler® products. Get one of these Movie DVDs by mail with 5 tokens. UPC symbols are not eligible for participation in this offer. Eight titles from Fox and MGM Entertainment! Offer available until September 30, 2010 or while supplies last. Limit one DVD per Official Order Form. Limit one Official Order Form per envelope. Limit 25 DVDs per household. Also, Stephanie at Katycouponers turned this into an even bigger money maker by submitting for the $10 Kellogg's Calendar rebate!!! $0.14 Money Maker after MIR!!! I told you about the Nabisco MIR and Randall's deal earlier HERE. Well, I needed my morning Starbucks so I decided to head on over to Randall's Flagship to snag this cracker deal and knock out two birds with one stone while I got my coffee. Total Randall's Trip Cost = 9.44, but will mail in rebate (.42 stamp) for buy 10 nabisco promotion to receive $10 back HERE. I just received my other nabisco rebate yesterday and it only took 2 1/2 weeks to process! Final Cost after MIR = FREE plus $0.14 profit! Remember the great Keep the Jingle in Your Holidays promotion rebate I posted HERE for Nabisco that ended November 30th? Well, I sent off for my rebate on November 23rd and received my $10 rebate check yesterday! That is less than 2 1/2 weeks to process. Now that's fast! If you missed out on that rebate, no worries! Their is a new Keep the Jingle in Your Holiday promotion going on between 12/1/09 thru 1/21/10. 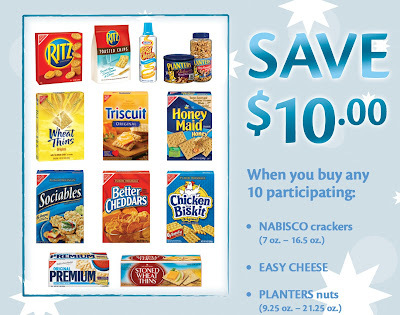 To qualify for the $10 rebate all you have to do is buy 10 participating Nabisco products. Click HERE for details. 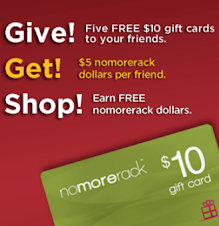 (click on get started and then coupons on the right hand side of the screen and you will see the rebate). Well right now at Randall's/Safeway/Tom Thumb there is a Nabisco Crackers Deal that wyb 5 participating Nabisco cracker items in a single transaction between 12/9/10 and 1/7/10 you save $5 instantly at the checkout. 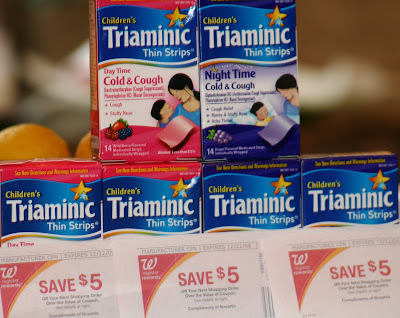 Final Cost after Mail-in-Rebate = FREE plus $4.68 Money Maker!!! If you are a KRAFTFIRSTTASTE member you may want to check your current offers. 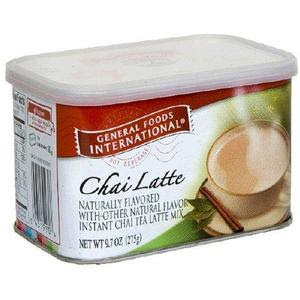 I clicked on my offers and there is a new offer to receive a coupon for $2.00 OFF* any one (1) General Foods International package, including NEW foamy lattes. Choose from a variety of luscious latte flavors, including Vanilla Bean, Vanilla Caramel, and Mocha. *All coupons are offered while supplies last. Offer expires 1/31/2010. It is easy to join if you are not a member just by signing up.